I worked as a dispatcher/security guard for many years at this mall. 1.) CompUSA was replaced with Guitar Center. 3.) I asked several former coworkers, none of us remember "O-2"
4.) After Time-Out went away, some shops were put in. Those eventually fell to the wayside also. 5.) Gangs and the brawls that came with it were common during this time. I remember many a weekend being in the midst of large fights when I worked security, and having to call for help from the county when these fights broke out. The dispatch center had a direct 'red phone' that connected right to the Hamilton County Sheriff's office to allow dispatchers to get in touch with them asap instead of wasting precious time calling in via the standard line. 9.) Ah, memories. We always knew the finances of the mall at holiday times. If it was good, we were given full sized turkeys at Thanksgiving. Bad...game hens. The place was doomed to fail when it started. No one did much research, I think. It opened up with places you find in New York, etc - high end. No one could afford those kind of places. Biggs was their first and the mall was built off of it. Not to mention the fact that you can go a exit or so each way on the highway and get to another mall. Once places like Meijer sprung up across the street, and the rest of the area started getting developed, it's just done with. I remember sitting in a security trunk watching the Meijer get built. Personally, I think they should seal the place up tight and turn it into a huge indoor pool. On #7, the Festivals at Forest Fair. They were different from Bourbon Street from what I remember. The restaurant/clubs for the Festivals at Forest Fair were built in 1993 near one of the main entrances. Bourbon Street, which was 3 separate night clubs was opened in 1996. It was on the top floor which eventually became Burlington Coat Factory. Bourbon Street was incorporated into the whole Festivals at Forest Fair theme, but wasn't a part of the original clubs/restaurants and was a decent walk away (2nd floor center of the mall) from the other establishments. I seem to remember most of the original establishments were closed by the time Bourbon Street really took off. I actually found a couple pictures not long ago online from 1993 under an old PDF file talking about the "Indian Tiles" that were brought in and placed in the mall for the Festivals at Forest Fair theme. They wanted it to have an "outdoorsy" type feel to it, thus the reason for the specialty tiles being brought in from India. If I can find the pictures again I will post them. Last edited by Montrell; 12-18-2012 at 01:34 PM.. I used to love going to Bourbon Street at the Forest Fair mall. Techno, 80s, and country. Anyone know a modern club with those options for older crowds? Forest Fair is hilariously tragic. There are holes punched in the cheap plaster covering the former Bigg's entrance. Weeds are all over the place outside. Strategically placed buckets are all over the floor for rainwater collecting purposes. Graffiti is all over the parking garage. And what do they spend money on? A security guard on a Segway to patrol for photographers and other miscreants. Yes, really - photographers have been escorted out. I was not one of them. 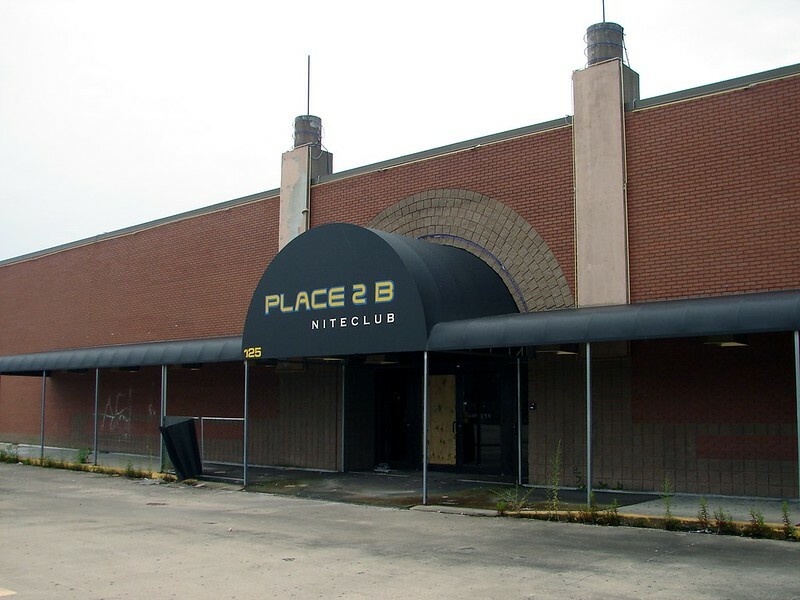 For those wondering, the former "Place 2 B" nightclub is now vacant. Looks like they stopped in the middle of renovations inside. The original nightclub concept constructed in 1993 was called "America Live." There was also a big sports bar, think it was called America's Original Sports Bar, with an outdoor sand volleyball court outside. Heard the former Metropolis nightclub was closed because it degenerated into a thuglike atmopshere and there were often fights and rapes outside in the parking lot, a former Forest Park police officer told me. As a side note to earlier comments, I religiously listened to WGRR from about 2003 to 2006 and remembering hearings scads of advertisements for Cincinnati Mills. Proof that drywall and garish paint can't save a doomed mall. Will Kohl's stay or go?